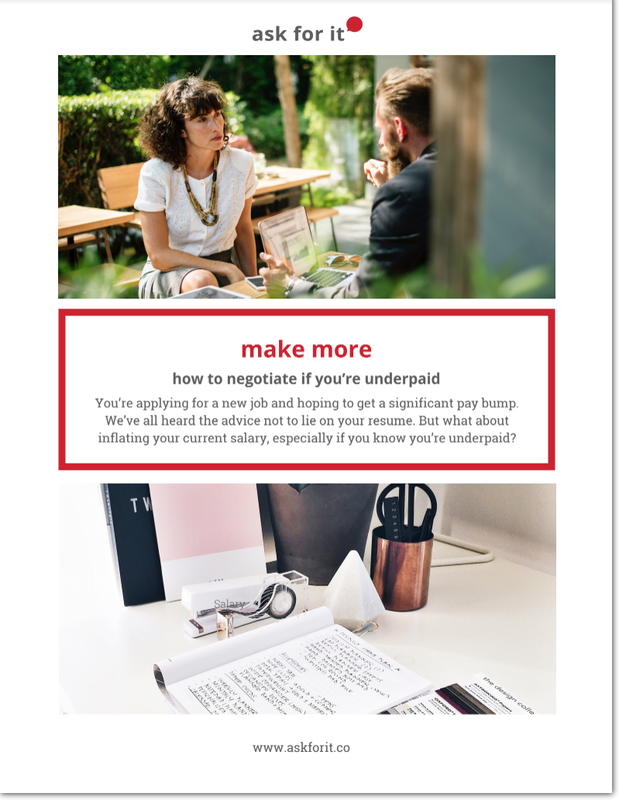 We have the materials you need to create your unique negotiation strategy — from worksheets to keep you motivated to listening guides that go the extra mile. 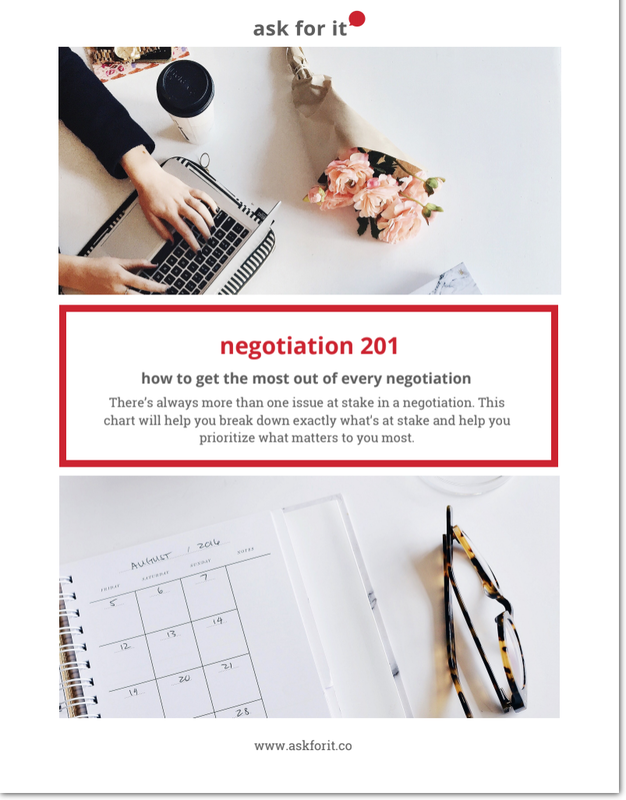 Learn our negotiation basics and research-backed strategies to help you go from amateur to expert negotiator. Build the foundation for negotiation confidence in just three steps. We'll take you through gathering strong evidence, doing the right research, and how exactly to ask for it. There's always more than one issue at stake in a negotiation. This chart will help you break down exactly what's at stake and help you prioritize what matters to you most. This isn't your ordinary "To-Do"list. This To-Done list is geared towards what you have done, not what you will do. Use this worksheet to get clarify on the value you've created. 3 Strategies To Help You Cope With The Fear Of "No"
Does the fear of being told "no" hold you back from asking for things? This worksheet will help you conquer this fear and face it with confidence. 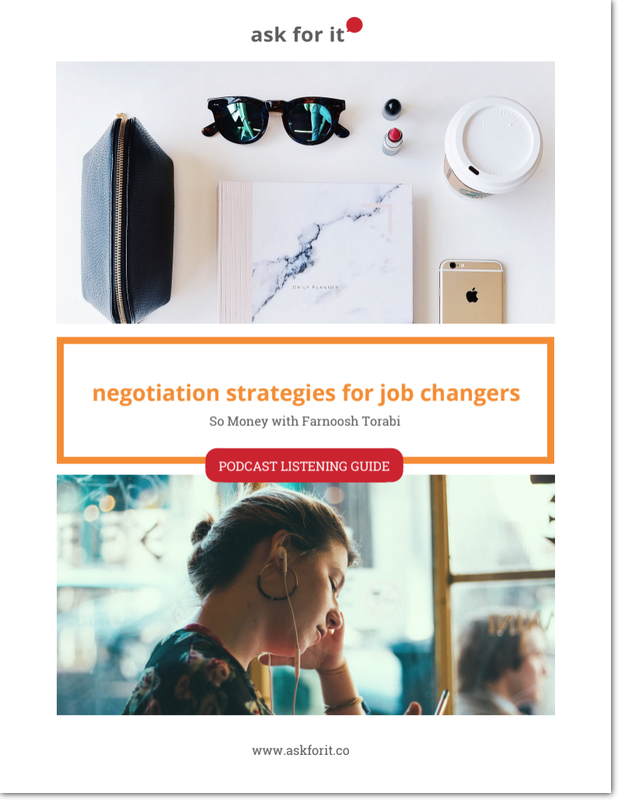 Negotiating isn't solely about salary, even when you're looking at a new job offer or are asking for a promotion. This list outlines additional areas to negotiate, and why they're important to consider. Set yourself up for negotiation success with an accountability plan. Stay motivated and gain the confidence you need by determining your goals, and sharing them with trusted friends, family, or colleagues. You're applying for a new job and hoping to get a significant pay bump. We've all heard the advice not to lie on your resume. But what about inflating your current salary, especially if you know you're underpaid? Performance reviews are your opportunity to ask for it. This checklist provides 7 action items to help you get clarity on your goals and make the case that you're worth it. Fan of podcasts? Our Founder and CEO has been featured in an array of episodes, focusing on the negotiation strategies you need to succeed. Download the listening guide, pop in your headphones, and get excited to learn something new. Re-entering the workplace after taking time off doesn't have to be hard. These negotiation strategies will help you address the elephant in the room — that gap on your resume — and ask for the salary you deserve with confidence. Taking questions from listeners like you, this worksheet addresses some of the issues job changers experience during the interview process. Thinking about your career objectives can transform your negotiating skills. 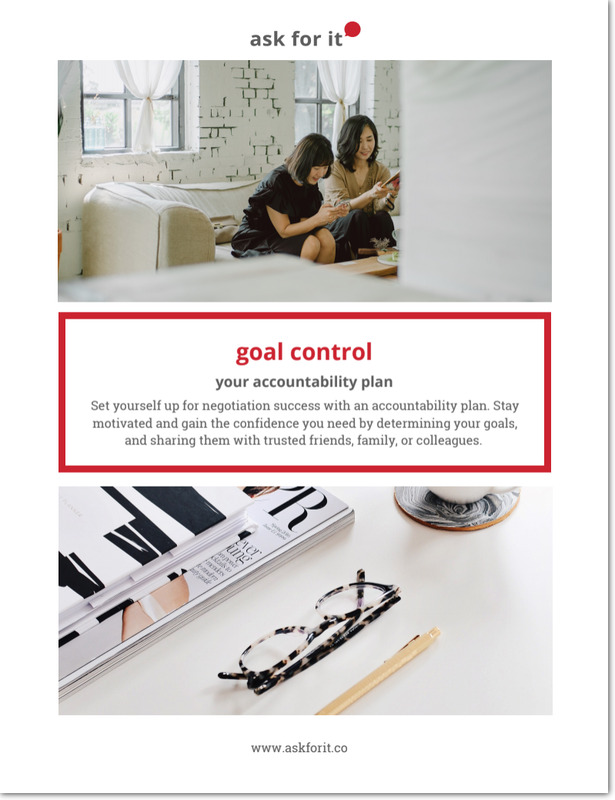 This worksheet helps you pinpoint your short term and long terms goals to build the confidence you need to Ask For It. What are the negotiation strategies women and men need in STEM? 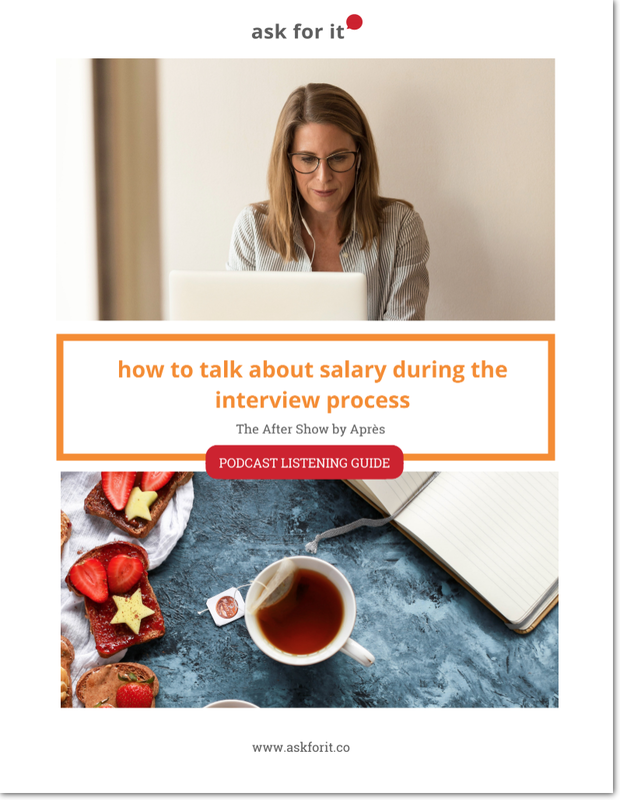 Get clarity on the salary market rate for your role and how to hone your negotiation skills with this worksheet.